A shed with a cantilevered roof truss can offer many benefits to your shed design. It can create sun and rain protection on your front or rear walls which may include a bar opening. Standard wall height is 7′ which will accommodate a 34″ steel entry door instead of our standard 48″ double doors. The oversize roof design does not add to the actual size of the shed. 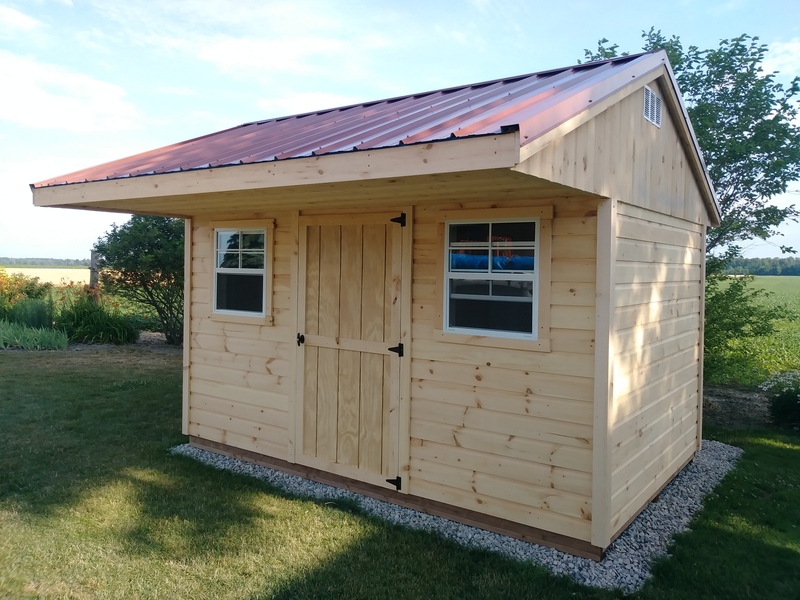 Overall shed dimensions are measured by the length and width of the walls only. If you added load bearing support posts under this roof overhang, you would then create a larger shed size. The maximum suggested overhang without posts is 48″. This will cost approx $40/ft of wall or $480 on a 12′ wall.